Fans of Google Maps and Hyundai/Kia will soon find their two preferred road trip tools teamed up. In an announcement today by both Hyundai and Kia (under common ownership ) the automakers have announced that they will be moving to offer this feature in their vehicles soon. 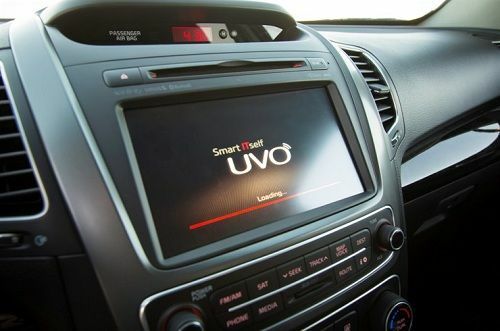 Presently, Kia offers a telematics and infotainment system called UVO, and Hyundai offers a similar system called Blue Link. Both of these systems will now use Google based navigation and point of interest operations and will work in conjunction (woops, we almost said Synch) with smart phones. Imagine that you are heading out to a new shopping location and you will make a stop before you arrive. If you wanted to, you could simply use your smartphone, tablet,or netbook (or laptop or computer if you still use one) to check out the route on Google Maps. Then you could send the routes right to your car’s Nav. system using Google and UVO or Blue Link. The routes will already be preloaded and named in your Nav. system’s address book. We’ve done this with On Star and it is convenient if one is planning a trip to a new area. Of course the address could simply be spoken to the Nav. once in the car, but it is nice to have a peek at your route before you leave, and why not save that search you’ve already done? Once you are in the car and decide a skinny latte grande would make the trip more fun, you can speak to the system and get vectored in to the closest coffee shop of your choice. Once you arrive at the new location and park, the new system can take a picture of your surroundings for you to use to help find your car. In fact, the system can remember where you parked and tell you via your phone where to go to find the car. Of course, 9-1-1 automated help, vehicle diagnostics checks and reminders for maintenance, and all of the now common features of telematics and infotainment will be available as well. Google’s involvement simply adds its dimension to the Hyundai/Kia systems. Kia will integrate this ability into the 2014 Kia Sorento due in dealer showrooms soon (yes it is just 2 days into 2013) and Hyundai will likely start to offer the system on its vehicles in the next month as well.